I get a lot of questions on how to structure your resume, how to write about your experience, what to focus on, and how much to write. 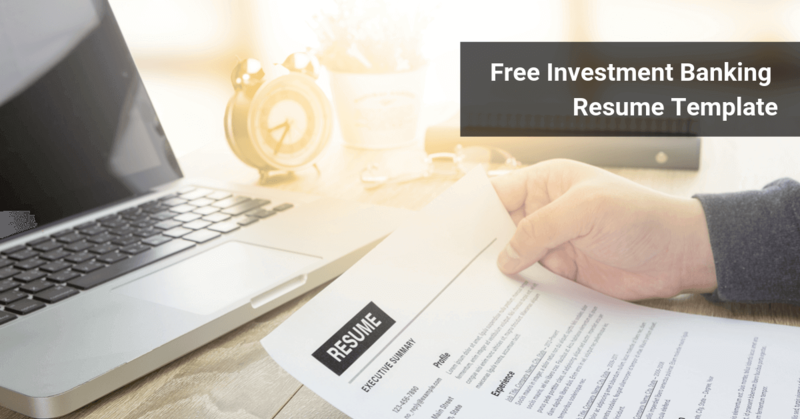 Rather than writing a giant Q&A on all these topics, why don’t I just give you this proven investment banking resume template that you can just copy and modify for your own experiences. But I’ll Have the Same Resume as Everyone Else! No, because only 0.1% of those who see this template will actually download it and use it. Don’t overestimate the competition. And even though this site is well-known, only a tiny fraction of those interested in investment banking have visited it. If you are worried, just modify the formatting and use different fonts, spacing, or margins. Note: You should always submit your resume in PDF format unless the employer advises otherwise. Notice how the resume template is very compact – investment bankers only spend 30 seconds reading your resume, so you want to hit on the key points rather than overloading them with information. Avoid 0.25″ margins and size 8 font unless you absolutely can’t fit everything – try to use 0.5″ margins at a minimum and preferably at least 0.75″ (like you see here). Decreasing the font size is better than decreasing the margins if you need to fit more information on the page – but again, you should make sure everything you include is both necessary and useful. We have 4 main sections: the Header, Education, Work & Leadership Experience and Skills, Activities & Interests. All the entries are right-aligned for the dates and locations – to do that, you go into “Styles” in Word and create a New Style with right-aligned tabs (just watch the video to see how to do this, it’s really hard to explain in text). We recommend sticking to 1 page unless you are applying to Managing Director-level positions (and if you’re reading this website, that is probably not you, though I’m sure some MDs do read). And before anyone mentions it – yes, I know Australia is an exception to this rule and resumes there often go on for 2-3 pages even for entry-level positions. Center the header, make sure your name is in bigger font than the rest (so they remember who you are), and write your address, phone number and email address right below that. There’s not much more to it than that – keep it short, don’t include stars or symbols, and please, keep photos of your pet rabbit off your resume (I’ve seen all of the above before…). There are some regions where it’s acceptable to include your own photo here, so go ahead and do that if it’s common practice. If you’re still in university, this should always be at the top – I can’t think of a good reason why it would be anywhere else. The key points: where you go to school, what your major is, graduation date, and GPA/SAT score. Honors, Relevant Coursework, and Research are actually all optional, but they’re good to include if you have something business/finance-related to write about. You absolutely need to include your GPA, even if it’s “bad” (below 3.5) – otherwise they will think it’s “really bad” (below 2.0). SAT scores are more optional, but I would leave them in if they’re over 1400 in the old system or over 2100 in the new system. You can also list study abroad or summer program experiences here – these should be included as separate education entries if you have the space. Don’t include high school unless you just got to college and have no real experience yet – or unless you went to a top school with a lot of alumni in finance (Andover / Exeter in the US). Don’t include clubs, activities, or certifications here – those should be in one of the 2 sections below this instead. Work & Leadership Experience – The Rule of 3? You should aim for between 2 and 4 major work experience entries. Don’t make a laundry list of all 27 different clubs you’ve been in, because there’s no way you had major accomplishments for all of them. 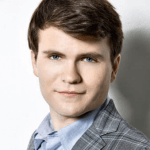 You had an internship at an asset management firm and then at a hedge fund – and you also started your own business fraternity. Each of these should be an entry, and you should devote most of your space to the internships. You worked at a boutique bank over the summer, and have spent 20 hours/week on a Varsity sport at school – these should be your major entries (yes, sports are fine to list under “Work & Leadership Experience” but in this case you definitely want to focus on the boutique bank). You were in 4 clubs at school and also had an internship at Goldman Sachs (in any group). DO NOT write about each of these as if they were equal – Goldman Sachs is exponentially more important than your clubs, so spend half your resume on GS, pick the 2 activities where you contributed most, and write a few lines about each of them. But let’s say you had 4 investment banking internships (summer and part-time) – in that case, I would probably just call this section “Work Experience” and focus on the 3 most recent ones. If you’ve had absolutely no real internships or other work experience, you should still call this section “Work & Leadership Experience” to give the impression you did. There’s this idea floating around that you should have 3 work experience entries, and then 3 bullets within each one of them – in principle this sounds reasonable, but in practice it can be difficult to include exactly 3 bullets for each entry. The better way to approach this: decide on a Project-Centric or Task-Centric structure for each entry, and then write everything based around one of those. In each case, start out with a Summary Sentence stating what you did and the major results of your work (if you know them). The Project-Centric structure starts off with the Summary Sentence and then goes into “Selected Project Experience” (or “Selected Client Experience” or “Selected Transaction Experience” or “Selected Investment Experience”). Anything else involving specific clients or companies – equity research, wealth management, law, accounting, etc. Pick the 2 or 3 best projects (for internships, these will likely be the ones you did the most work on) and then give a single bullet or two describing what you did for each one (more on that below). Listing just 1 project or client looks weird – but don’t list 8 different projects either, as you want to focus on the most relevant ones. And for experience outside finance, you would use similarly descriptive titles and avoid naming specific companies unless whatever you worked on was announced to the public. The Task-Centric structure is not that much different – we still have a Summary Sentence at the beginning, but we separate the work by tasks and responsibilities rather than by specific projects or clients. This format is best for part-time jobs (you worked as a sales rep at Radio Shack one summer – not your “part-time job” at Lazard), activities, and anything else outside finance – like research or engineering. If you can re-position what you did to make it sound like specific projects then you should definitely do so – but if it’s a stretch, don’t bother. Give the results of what you did – and yes, I know that you don’t always have them. Numbers are good, but even something qualitative like “Resulted in private equity firm proceeding with additional due diligence” is better than nothing. The order here doesn’t matter that much, so go with whatever sounds more natural – if you give the specifics first you should use a semicolon to separate it from the results. If you have an extremely lengthy description, then it’s fine to include the specifics all on one line and then make a separate line for the results. Leaving it out entirely (only do this if you’re much older). Going on for too long (10+ lines). Failing to list useful/interesting Skills, like Language abilities, and instead listing every single club you were in since age 5. “Proficient in Microsoft Office/Excel” – This might have been impressive in 1992. Not so much today. Keep this section simple and list any language proficiencies first, followed by technical skills (real ones, like programming languages), and then you can list your financial modeling/CFA courses next, followed by a line or two on more minor Activities, and then your Interests at the end. Even though this isn’t “work experience,” the same strategies hold true – be specific, focus on what’s memorable, and try to go in-depth with only a few areas rather than giving a laundry list with minimal details. That’s nice, but the purpose of a resume is not to show off your artistic skills or creativity. It’s to win the attention of time-strapped bankers and land interviews. Yes, the design above may not be “stylish” but it’s effective and makes it very easy for bankers to quickly assess you. As mentioned above, there are regions such as Australia where resumes / CVs are more personal and go on for several pages. I don’t want to get in a debate about cultural differences – it is what it is, and the template above works great for the US, Europe, Asia, and most other regions outside of Australia. The free templates on this page are proven to work in banks from elite boutiques, through to bulge bracket behemoths. But, what if you want further personalized help? Well, we’ve got your back. Optimal structure – You’ll learn where everything from Education to Work Experience to Activities should go. Regional badminton champion? Stamp collector? You’ll find out where those should go, too. One caveat: we only have capacity to work with a limited number of clients each month. In fact, we purposely turn down potential clients in cases where we cannot add much value. We prefer quality over quantity, and we always want to ensure that we can work well together first. Thoroughly appreciate all the good advice you’ve given on this website. I have a question regarding first year grades. I received a 2:1 overall (just crossed the boundary to get a 2:1) but I’ve scored only passing marks on one module. I’ll be applying for summer internships this September. 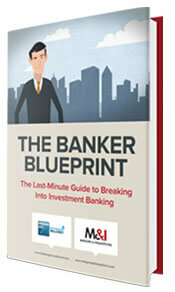 Do investment banks ask for transcripts for first year? Would my grades in individual subjects matter significantly or would banks generally focus on my overall score? I have some good extracurriculars on my CV and have completed a spring week at a BB. They will focus on your overall score, but they could still requests transcripts. If you have a 2:1, don’t panic, just keep doing well and send in the information they request. First off I wanted to say how much I appreciate all the hard work you’ve put into this website. It’s been a great asset in resume building and interview prep for both my boyfriend and I, and he’s not even in finance or trying to be. I recently attended the American Bankers Association Women in Leadership Forum and Emerging Leaders Forum, part of the Government Relations Summit in DC. Hopefully all that networking paid off, but in case I’m back to square one and still sending out my resume I was thinking about adding it to my Work & Leadership Experience section or maybe as an activity. Considering that I don’t really have the most experience, would a three day conference in which I was an attendee be appropriate to add? What are your thoughts? Hi, I am a final year student studying Financial Economics and Econometrics. However, my work experience are not finance/banking related – operational assistant in a pastry factory, and a retail staff. However, I am a head analyst for the investment society in my university and we do have a 1 million fund that we can use to invest in stocks weekly. I’m am not sure what are the stuff I should focus on the elaborate more other than the stuff that I have done for the society. Could you give me some advice on this matter? Focus on the Investment Society and do not write that much about the rest. Maybe devote 50% of your space to the Investment Society and 25% each to the others. Emphasize leadership, teamwork, attention to detail, and other skills that apply to banking. It doesn’t really matter, but yes, you can list it at the bottom. It’s not an “error” to list things out of chronological order. Hi, I wanted to get your opinion on how to write my current CFA candidacy on my resume. I am currently registered for the next exam (level 3) and just recently passed the level 2 exam. Should i list this on my resume? Just wandering because i am looking to break into investment banking or private equity as an entry level analyst and most of internships has been in technology related. I majored in computer science. Yes, but you obviously can’t list it after your name until you have the required work experience. So just list it at the bottom or maybe under Education if you’re a current student or recent graduate. I have graduated for a year and am working in Commercial Banking as a Management Associate. I am drafting my resume to apply for some IB/ Corporate Banking graduate programs in the coming recruitment season. However, my previous internships are not as comprehensive as my full-time job now, particularly in deal experiences. I did some industry research, prospecting when I was an intern. So if I use the project-centric template, will the HR/Hiring Manager think my CV looks too messy? I mean I can put 3 deals (say, “XYZ’s potential acquisition of a Real Estate”) with a bullet point each under the summary sentence while I can only write three bullet points (“Assist the tax managers in …..” x 3) under my internships. No, just write whatever you can. Hey, I am currently looking to break directly into banking. I have 2.5 years management consulting experience working on banking change/regulatory projects. How is the best way to display my transferable skills relevant to banking on my CV? I am currently working on applying for sophomore summer analyst positions for next summer and I have a question regarding work experience. I will have completed 2 finance/accounting internships by summer’s end. However, I will be starting 2 new positions this coming semester as the treasurer of a successful club and a part time job as a campus ambassador for a former employer (not already listed on resume). I realize neither are specifically “banking” related, but they do require a large commitment, teamwork, and confidence, which are characteristics banks look for. Do you think I should list these or only 1 of them? If so, how would you suggest doing so considering I have not started them yet? Just list 1 of them and describe it as an “upcoming” role with a date in the future. The finance/accounting internships are far more important. Hello Brian, I’ve won Stock Market Simulations and many other Negotiations/Trading events. Should they be put on the resume and if yes, then under which head? Yes, probably under Education or under Work Experience if you have minimal Work Experience to this point. I currently have an finance internship at a Retail Firm(not related to IB) and a research internship with the Government. I’m also a position holder at two clubs in my college. How should I put them so that I land my next internship at an Investment Bank? Just a quick question – I recently attended a 3- day long diversity program (Insight program) held by a BB. Should I include it on my resume? If yes, under which section should I include it? Yes, maybe list it under Education or under Work Experience if you don’t have much else that’s relevant. I am a couple weeks into the internship and applications for next summer’s SA roles have opened up at several banks. I was wondering if I could put this current internship in my resume and whether or not I should/there are advantages of applying this early as opposed to later on. Also if I applied early will they start the interview process during the summer? Hey I have a 3.4 cumulative but 3.8 in my latest semester, is it okay to just put my latest semester GPA on there. Eg. GPA (Fall 2017): 3.8/4.0 ?? You need to list both. I started grad school immediately following undergrad as I was playing college football (received extra eligibility due to injury…long story). I took a few semesters off as I had a short stint in the NFL. I’m back in grad school this semester and will finish my masters in May. Both my masters and bachelors degrees will be from the same school. How should I structure this in the education section of my resume? You can use the same heading for both of them and just use separate lines for each degree. What do I have to do to ace the numerical tests that come along with the application? Thank you for sharing this great template and instructions with us. I have a question regarding spring week resumes. Since I am a first-year student of economics and my year is not yet finished, how do I state my grades (GPA equivalent in the UK)? Should I list expected grades? Thank you for your answer and keep up the good work! Yes, just list expected grades such as 2:1 or 1:1 or 2:2. I finished bachelor studies and a got a scholarship for the CFA Level 1 exam for the June 2017 exam session. In your opinion, how (where) should I include this info since I think it’s relevant both because it is a CFA and the fact that I got scholarship based on merit. You can list it under Education if you want, especially if you didn’t attend a top school and need something else to stand out. Sorry, forgot to mention that one. I went to the both top and target university (especially for the IB divisions in London) with a major in Finance. Thank you for your suggestion and appreciate your prompt reply. One quick question if you have time to answer: Can you suggest me any website for the international equivalences of UK degree (i.e. 1:1,2:1,2:2). I am struggling to find the most accurate one, since different websites say different things (and sometimes these deviations are significant). 1:1 is an A (4.0 / 4.0) in the US system, 2:1 is an A- / B+, around a 3.5 / 4.0, and 2:2 is a B (3.0 / 4.0). Keep up with good work and I wish you all the best. One quick question if you have time to answer: Can you suggest me any website for the international equivalences of UK degree (i.e. 1:1,2:1,2:2). I am struggling to find the most accurate one, and different websites say different things (and sometimes these deviations are large). Hi, I’m just wondering how should I include my intention to complete a MSc in Finance after my undergraduate degree on my CV? I want to make it as clear as possible however, graduate schools have not released their offers yet and as a result I am lacking the info required to make it stand out. All you can really do until you have an offer of admission is list it the way you suggested under your undergraduate experience. It’s too risky to make it a separate entry if you haven’t even been admitted yet. Is it ok for my to use serval bullet points to describe my valuation model? For example, how I searched for peer company, how I made the assumptions , and how I discovered a mistake in model? I’m a working class 20 year old from Scotland, and with your advice regarding networking and email templates I managed to secure a ‘coffee session’ with an Investment Director at a very high-level Investment Management firm. And after the coffee session meet-up he was impressed by me and was told that after I finish my Uni degree next year to apply for a job there. It was all because of your advice that I managed to get the opportunity to get my foot in the door; and for that I just want to say sincerely thank you very much. If anything, you helped a kid get one step closer to his dream career. Thanks for sharing your experience with us, and let us know how it goes!